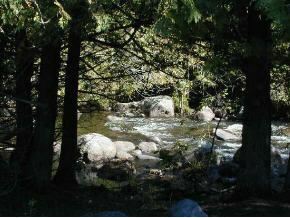 OUTSTANDING COUNTRY DEVELOPMENT ON THE NORTH BRANCH OF THE EMBARRASS RIVER. LOT 1 HAS 245 FEET OF WATER FRONTAGE. A GREAT COUNTRY SETTING AND LOCATED JUST A FEW MINUTES FROM HWY 29. $150 would be your approximate monthly principal and interest payment. This payment is based on a 30-year loan at a fixed rate of 4.12 % with a down payment of $2,290. Actual lender interest rates and loan programs may vary.